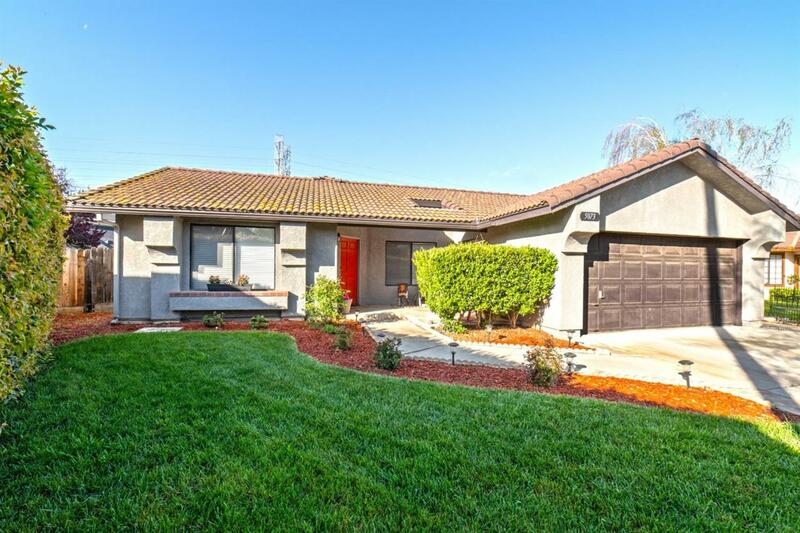 Situated on a large corner lot in Northwest Fresno is this three bedroom, two bath home with numerous upgrades throughout. 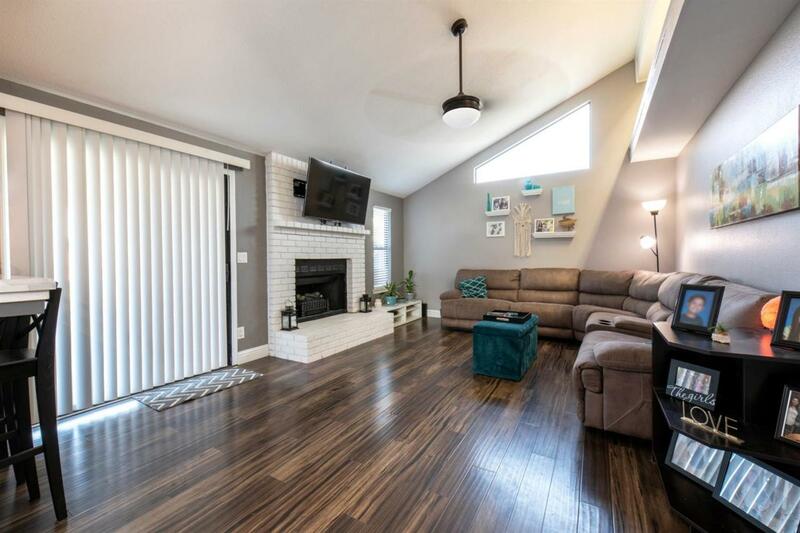 The open floor plan encompasses a great room with vaulted ceilings, kitchen with Corian counters, subway tile backsplash, tray ceiling lighting and upgraded cabinets, a generously sized dining area with ample natural light, and a living room with updated brick fireplace. 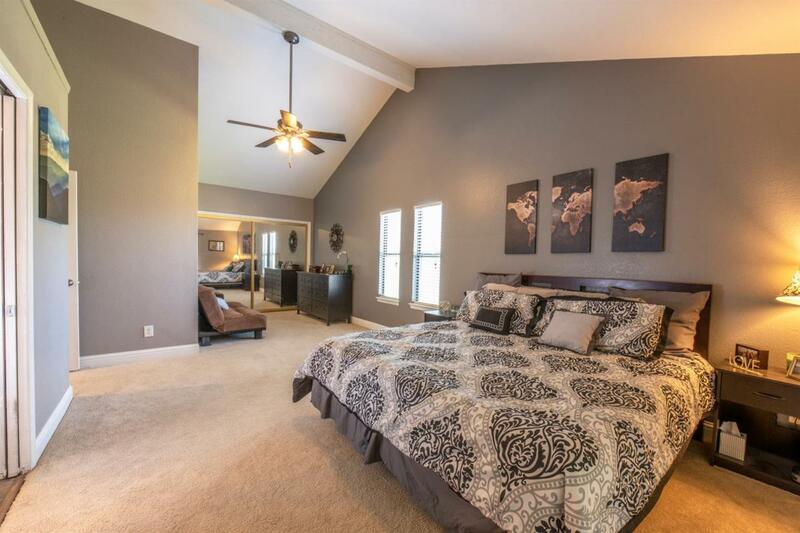 Each of the bedrooms offers large closets and the massive master bedroom has two closets and space for a lounge. The two bathrooms have been updated to include granite counters with double sinks and designer floor tile. The master bath also includes a bonus vanity area. In the backyard, you will find a covered patio, lush green lawn, and room for a garden. 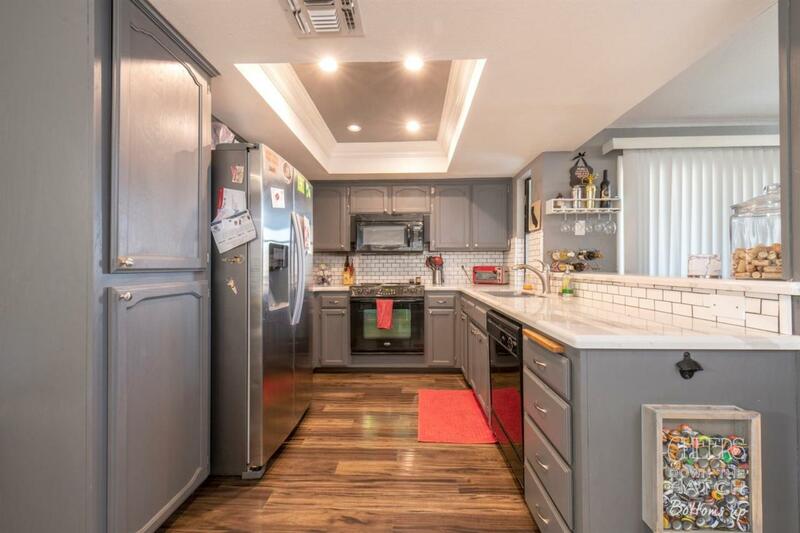 This home is ideally located near many great restaurants such as SaborMX, a wide range of shopping options, and the Fig Garden Loop Park.